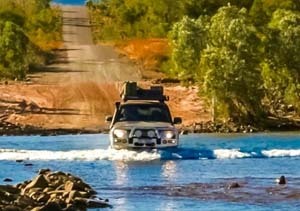 Once the centre of the world’s pearling industry, Broome and The Kimberley are perfect for exploring by four-wheel drive. Broome itself is unforgettable for its wonderful array of contrasting colours; the turquoise of the Indian Ocean, the red rock cliffs, the pure white sand, and the clear, deep blue sky. 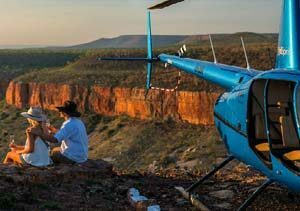 Let’s take a look at some things to do in Broome itself. 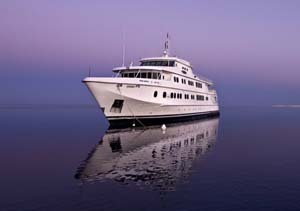 Broome is often described as the pearl of northwest Australia because of its pearling history. Discover more about its fascinating past in one of Broome’s Museums, or take some time to visit Pearl Luggers in the heart of Chinatown, where you can see two of the last surviving pearling luggers. Evidence of the dangers associated with diving are never far away; the Japanese Cemetery in Broome is the final resting place for more than 900 Asian pearl divers, dating back to 1896. Hundreds of young divers are buried here after tragically losing their lives from the bends, drowning, and as a result of cyclones. Visit a pearl farm and learn how the beautiful Australian South Sea Cultured Pearl is produced, from the seeding of an oyster to the harvesting of a pearl and its display in the showroom. In Chinatown, you will find the world’s finest pearl showrooms, and you are sure to find a beautiful, unique souvenir to take away with you. Also in Chinatown, you will find galleries showcasing the region’s indigenous Aboriginal art. Since it is a main shopping district, you also will find plenty of shops and colourful sidewalk cafes in which to relax and watch the world go by. Among the most stunning beaches in the world, Cable Beach offers camel rides along pristine white sands and clear, azure waters. Book your camel ride for evening time and watch the magnificent sunset over the Indian Ocean. In nearby Roebuck Bay, you might be lucky enough to witness the natural phenomenon called the Staircase to the Moon. This occurs when the full moon rises over the tidal flats of the Bay. It almost looks as though a staircase to the moon has appeared. The optical illusion occurs for three nights every month between March and October. Roebuck Bay is also fantastic for bird watching and is home to some incredible wildlife. The award-winning beers brewed at Matso’s microbrewery reflect the unique, unfettered environment of Broome. Overlooking Roebuck Bay, stop by at Matso’s for cocktails, a barbeque, a lavish sit-down meal, or, of course, a delicious beer – will you choose Mango Beer or Chilli Beer? For some fantastic photo opportunities, take in the magnificent colours of Guantheume Point. The white sandy beach contrasts beautifully with the red rock cliffs and the sparkling blue water of the Indian Ocean. 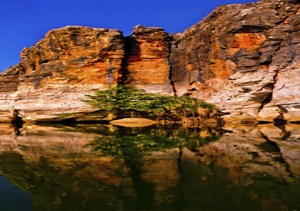 Just ten minutes from Broome, at low tide, visitors can see dinosaur footprints preserved in the reef rocks. Plaster casts of the footprints have been taken and are embedded at the top of the cliff for easier viewing. The most popular time to visit Broome is between June and mid-August since this is when areas are most accessible. Broome enjoys a tropical climate and has wet and dry seasons. The dry season is May through to October, with temperatures around 17 to 30 degrees, low humidity and cool nights. The wet season is November through to April. Temperatures are warm, typically 25 to 33 degrees (November is the hottest), with thunderstorms and short, heavy downpours. January to March is monsoon season, so expect flooding and cyclones. 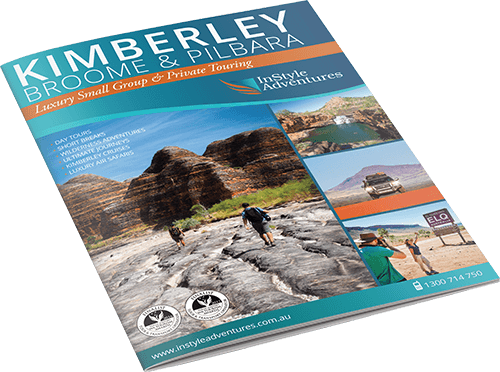 For an unforgettable taste of Western Australia, visit Broome, the pearling town at the gateway to The Kimberley region. 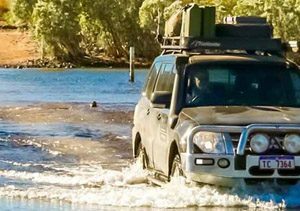 If you want to venture further afield and explore the area by four-wheel drive, take a look at our Broome day tours, as well as tours of the Kimberley region. 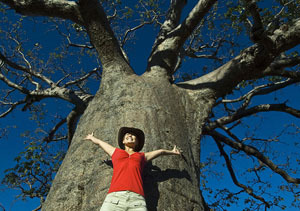 Contact us today and let us tailor your perfect Broome trip.